Our work in Rwanda takes place through working closely with our partner producers, Muraho Trading Company. This partnership helps affiliate cooperatives increase their quality of production, fetch a higher price for their coffee, and introduces them to new markets. Through our work with Muraho Trading Co, we are developing a fixed price payment model specific to the value chain in Rwanda. This will be a continuous work in progress in the coming years, as we gain a greater understanding of the particular challenges Rwandan coffee producers face. Through this process we can develop a model that creates incentives which generate producer buy-in, all the while maximising impact. Kilimbi CWS was one of two first washing stations to be granted approval to produce natural and honey processed coffee in Rwanda by NAEB. The elevation of Kilimbi lends itself well to the production of exceptional honeys and naturals. 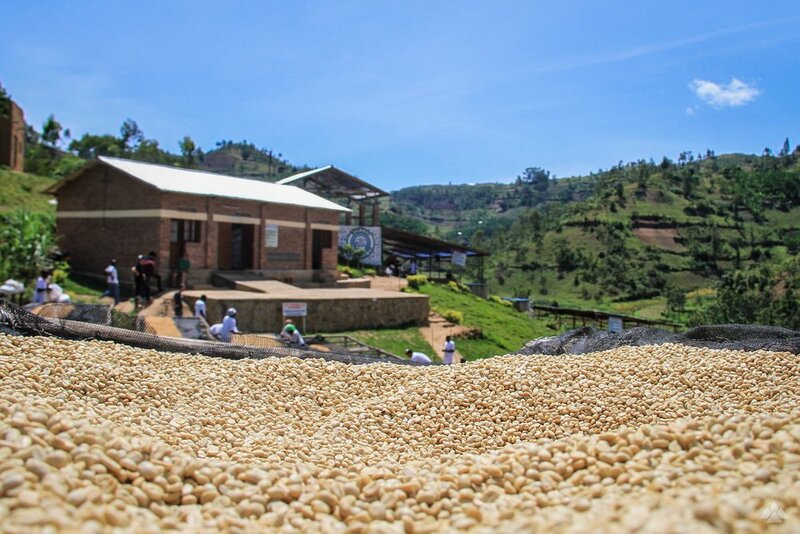 Drying beds stretch across a large open plain, where airflow and sunlight have maximum exposure to the coffee as it dries. Built in April 2016, Rugali coffee washing station sees an annual production of approximately 54,000kg of milled green coffee each year. The drying conditions at Rugali are ideal for ensuring optimal post-pulp drying, where coffee is laid on the drying beds between 12pm and 3pm, to ensure maximum exposure to the sun during the warmest time of the day. 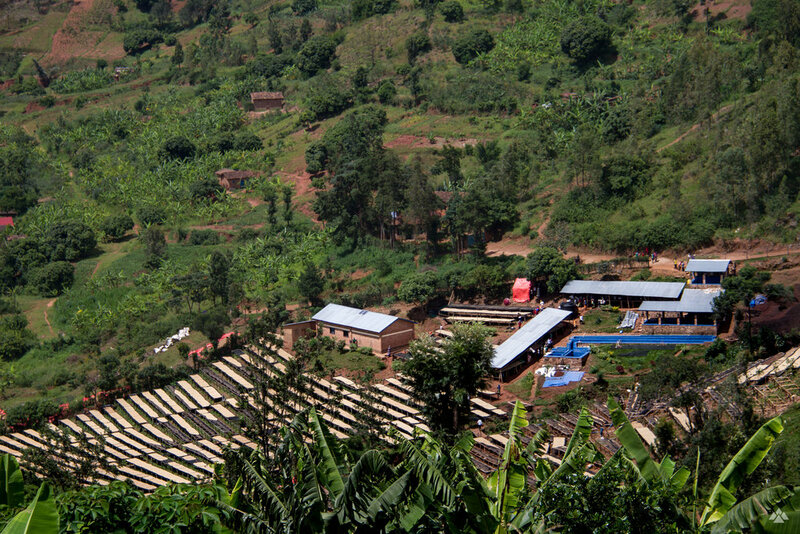 Bumbogo Washing Station is located in the Gakenke district, an area known for high-quality coffee production in Rwanda. It is a highly competitive region, and home to several winning Cup of Excellence lots in recent years. between 2000 - 2400 MASL. This is the highest grown coffee we know of in Rwanda, from a region where very few washing stations are located, making it somewhat unique. Vunga is a well-established small cooperative, whose partnership with RM and MTCo helped Vunga increase their quality, fetch a higher price for their coffee and introduce them to new markets. Vunga is a well-known washing station, though it is located in an area in Rwanda where very little coffee is produced, it has a reputation for producing extremely high-quality coffee. In 2012, Vunga placed 13th in the Rwanda Cup of Excellence and 4th in 2014. Gisheke is the newest member of the MTCo family, and is located in Nyamasheke District. The station overlooks Lake Kivu, with almost 40% of the cherries received at Gisheke coming by boat from Bushungwe Island. All the cherries from the neighbouring islands are delivered by boat to Gisheke, which is currently only accessible by water.